GOAL: Be prepared and organized in planning events. 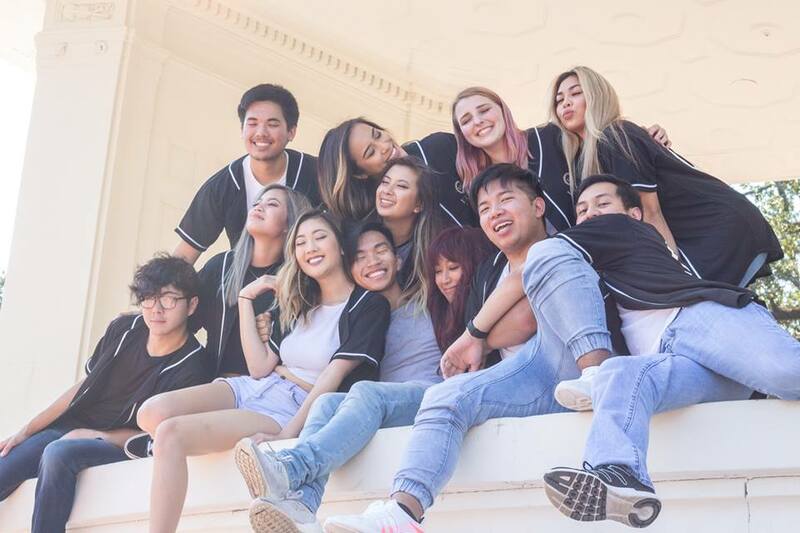 We constantly discussed dates beforehand to make sure we chose the best dates.Taking into consideration our Eboard’s life, exams, and other VSA events. EX 1. Planning for our annual Paper Lantern Night.After a lot of thought and consideration, we decided to move the date of PLN to before Date Auction in order to relieve the stress of having dance practices and filming conflict with PLN planning and to raise money for auctionees. EX2, Scheduling our photoshoot.We pre-scheduled our photoshoot to be during fall break.We knew that everyone would be available and when we interviewed our Freshmen Reps,they were informed of the date. We all had our own responsibilities that corresponded to our roles but we also all pitched in to make sure we did as much as we could such as making fundraiser boards, buying decorations, and contributing to our own bake sales. Everyone had organization responsibilities that corresponded to their roles but also took up opportunities to help our one another and to lead committees and such. GOAL:Help one another out.Don’t be afraid to ask for help. Everyone was always ready to help each other when needed.We all have different schedules and responsibilities may be overwhelming at times.We tried to remain honest with one another and tried the best to offer & to ask for help when needed. Ex1: When there was too much to type for our minutes, our Historian would help type. Ex2: When PRs had too much to post, our President would help make graphics. Ex3: When our EVP was too overwhelmed to keep up with community service, our IVP helped. We added new things to do at PLN such as making lanterns, having a decorated wall for attendees to decorate with their goals, selling waffles. We brought back shadow dance for PLN. PLN was able to raise over $250 from raffles alone this year. GOAL: Improve involvement with other VSA’s in the Gulf Coast and community. Attending and volunteering at events for our region. IMPLEMENTING INTERNS. PROMOTING OTHER SCHOOLS EVENTS AS WELL. ENCOURAGING GENERAL MEMBERS TO PARTICIPATE WITH THEIR TEAMS DURING EVENTS SUCH AS PROGRESSIVE DINNER. INVITING GOLDEN LOTUS TO PERFORM AT PLN. ATTENDING ORIENTATIONS FOR SCHOOL. IMPLEMENTING PLN AS A PRIVATEER PLUNGE EVENT FOR UNO. COLOR SCHEME: THIS YEAR VASA DECIDED TO IMPLEMENT A THEME FOR OUR ORGANIZATION.WE DECIDED ON A ROSEGOLD COLORSCHEME. #FANDANCECHALLENGE: OUR ANNUAL CHALLENGE FOR CPP IN COLLABORATION WITH PLN THIS CHALLENGE RECEIVED RESPONSES FROM ALL OVER THE GULF COAST AND SOUTH EAST. EBOARD HIGHLIGHTS. HIGHLIGHTS FOLLOWED OUR COLOR SCHEME OF ROSE GOLD. 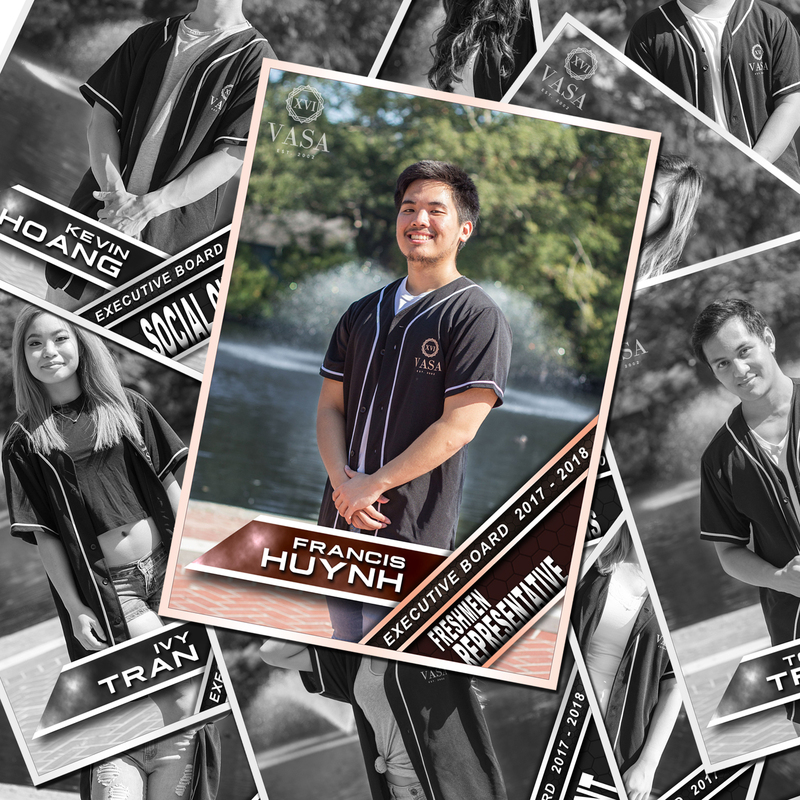 EBOARD THIS YEAR GOT PERSONALIZED JERSEYS WHICH INSPIRED US TO USE BASEBALL CARDS TO BE OUR HIGHLIGHTS. PLN:WE HIGHLIGHTED OUR SPONSORS AND PERFORMERS WHILE MAINTAINING OUR THEME. EBOARD ANNOUNCEMENT:CREATING BOOMERANGS TO ANNOUNCE THE NEW EBOARD FOR OUR INSTAGRAM STORIES. THOSE BOOMERANGS WERE ADDED TO OUR STORY HIGHLIGHTS ON INSTAGRAM. USING LAST YEARS PROS AND DELTAS WHEN PLANNING. CREATED A DOCUMENT OF THIS YEAR’S PROS AND DELTAS FOR NEXT YEAR. CREATING A CONTACT LIST WITH PREVIOUS SPONSORS,ALUMNI,GENERAL MEMBERS,UVSA-GC EBOARD AND LINKING THESE RESOURCES IN OUR MINUTES. VDAY. HAVING COMMITTEES. TRANSITION PERIOD FOR NEW EBOARD. ENCOURAGING FUTURE EBOARDS TO LEAD COMMITTEES. GETTING VOLUNTEERS.USING PRO’S AND DELTAS FROM LAST YEAR’S MISTAKES TO IMPROVE. Committees allowed members to step up and lead, which helped improve their leadership skills. This was very helpful to our newly elected President. VDAY is an all day event in which the Eboard participates in a number of team building and leadership activities that better prepares them for the upcoming year. With the activities that took place, we were able to better see our own and each others’ pros and deltas. We were able to communicate our thoughts and opinions better in order to make improvements. Helped us remember the goals that we set in the beginning of the year. We were able to hear each other’s’ thoughts concerning us and how others see our pros and deltas. This helped us understand one another. Encouraging Eboard members who planned on a future presidency the opportunity to lead Eboard meetings as well as committees. This helped prepare the future Eboard for what is to come in the next years. Transition periods (Pass the baton instead of just jumping ship and leaving.) Old Eboard has all scheduled transition periods with the new Eboard that is taking over their positions. This helped prepare them for their upcoming year and responsibilities.